The safety and wellbeing of our campus community is of utmost importance to Baylor University. The Department of Public Safety has made tremendous strides strengthening campus safety and security over the past few years. In 2014, Baylor commissioned an external review of its Police Department by Margolis Healy & Associates — a leading education safety and security consulting firm, which resulted in the reorganization and enhancement of BUPD, including the hiring of a new police chief, Brad Wigtil, who has 24 years of university law enforcement experience. 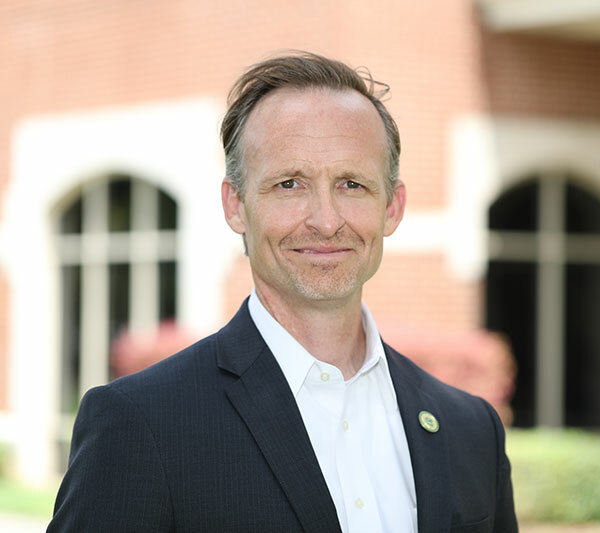 In addition, the University hired Mark Childers for the newly created associate vice president for public safety and security position, which oversees the department. Childers retired from the U.S. Secret Service as a supervisory special agent. Since September 2014, DPS has experienced significant growth and improvements, which have benefited the safety and security of our campus community and beyond. In the last two years, BUPD has added 11 commissioned officers and two dispatchers to its professional staff of 38 officers and 10 dispatchers. These additions make the department the third-largest law enforcement agency in McLennan County. DPS also has increased its use of technology, from the addition of more than 225 security cameras for a total of 820 cameras across campus to the implementation of BU Campus Guardian, a free phone app that allows users to call or text dispatchers in an emergency. BUPD and Waco Police Department solidified and strengthened their partnership by signing a Memorandum of Understanding to formalize the ongoing working relationship between the agencies. Other collaborative efforts have included the first joint active shooter exercise held on Baylor's campus and the expansion of the crime-free multi-housing program with the City of Waco. BUPD has increased crime prevention initiatives and added a second officer to assist with safety programming efforts. Two additional officers have been certified and equipped for bike patrol. DPS implemented the use of metal detectors at McLane Stadium last year, a first in the Big 12, and added a Sky Watch security tower at special events. BUPD officers easily exceed the requirements set by The Texas Commission on Law Enforcement, which mandates officers complete 40 hours of training every two years. In 2015 and 2016, on average, Baylor officers completed 100 hours of training, including 32 hours of in-service training each May that included Title IX, the Clery Act and sexual assault response. Members of DPS' Emergency Management spearhead Baylor's Global Engagement and Global Preparedness Group, which plans extensively to enhance the safety of faculty, staff and students traveling abroad for mission trips and exchange programs. The Emergency Management team works proactively to prepare for emergencies and continually updates Baylor Alert, the University's emergency notification system, based on best practices and feedback from the campus community. DPS hired a full-time Clery Act compliance manager and Clery Act associate to assist with compiling the University's Annual Fire Safety and Security Report. Ensuring the safety and wellbeing of all members of the Baylor community is a priority for the men and women of Baylor's Department of Public Safety. The Baylor University Police Department, Emergency Management, Parking and Transportation Services and Technical Security, who comprise the DPS team, faithfully and diligently protect and serve students, faculty, staff and visitors to our campus.